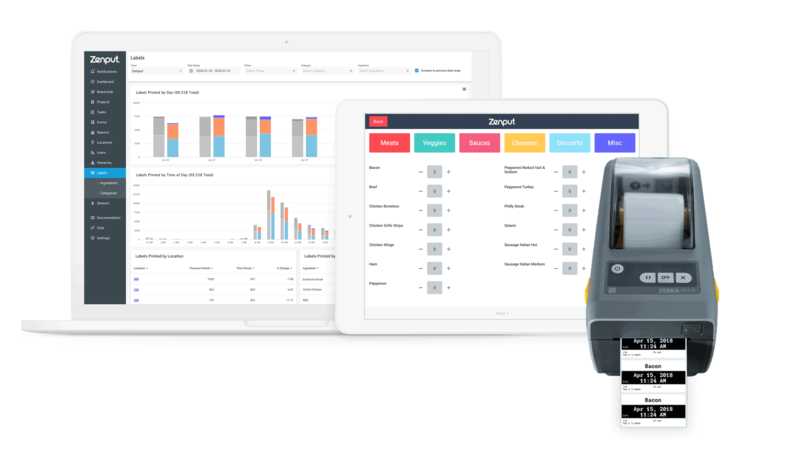 Zenput’s easy-to-use labeling application is an automated and hassle-free way for store employees to print critical dates at every step of the food preparation process. Never risk it with food safety. Maintain compliance with legal requirements and best practices around expiration details. Automatic calculation of expiration dates drastically reduces instances of human error. Centralized management of configurable food products allow for seamless, multi-store rollout. A user-friendly tablet interface and easy-to-read labels make label printing seamless. Boost health inspection scores by eliminating human error in expiration label creation. Clear labeling process helps to ensure compliance around food safety laws. Print single or multiple labels at a time with clear and accurate data using global product categories.